This is old version LINE 6.5.1 apk for Android, you can install it if you want to downgrade or install old app. It is top Communication apps from LINE Corporation. You can do a clear video call with people around the world without worrying about the how expensive the bill will be. To run this function, you only need to pay the internet data service without any additional cost. Furthermore, another feature that is successfully attracts more customer is its free voice call features. Here, you can enjoy the clear voice call with the minimum noises. Then, the messaging service of this app is also considered as the most attractive one in its class. Features with more than 5000 emoticons, stickers, and emoji, you will be able to express your feeling through interactive picture. In addition, you can also get benefits from some family brands of this instant messaging such as LINE Game, LINE Camera, LINE Tools, LINE Card, and others. 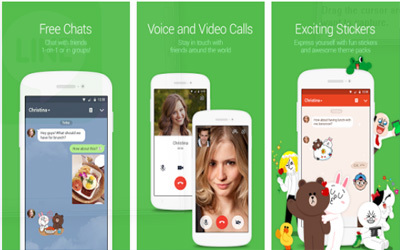 Overall, from the explanation above we can conclude that LINE for Android is not only great at providing messaging service, but it also concern with the customer needs by bringing the entertainment aspect to this application. We’ve added an auto-play option for videos on the Timeline. The Timeline now supports pop-up stickers.